Everyone loves receiving gifts. A majority of people will not deny this fact either, especially since being given a gift will make someone feel special. There are certain special occasions which call for gift giving, and there are other times when you will receive a surprise gift. It could be a ‘just because’ type of gift that your loved one provides you with, perhaps it happens after a long day at work or simply after a very tough week. Whatever the reason, these types of gifts will put a smile on your face. Another type of present could be a gag gift, something that is an inside joke between you and your significant other. Albeit a joke, the gift is still sure to brighten up your week. 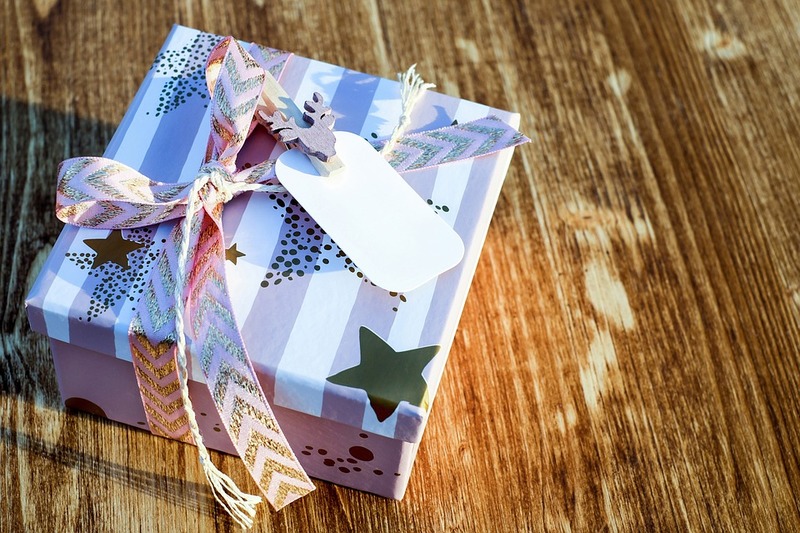 The occasions and reasons to receive a gift are plentiful, but not everyone’s budget allows them to go over the top. The good news is that the best gifts are not the expensive ones. Even if it is someone’s birthday, you do not need to break your bank just to make his or her day. Instead, think about that person’s likes and dislikes, and tailor the gift around that, while also staying on budget. If buying something from the store is still not within your budget, there are always the priceless DIY gifts, considering you put the time and effort to make the gift yourself. The following article provides more details about what to keep in mind when choosing the best type of gift for your loved ones. Think about what the gift-giving occasion is and who the receiver is. Some special events include birthdays, Mother’s day, Father’s day, graduation, the Holidays, weddings, the first day of college, and so on. If your friend, family member or significant other hasn’t dropped any hints as to what it is they want, do some online research. There are plenty of sources that will provide you with at least some ideas as to what it is you should look for. If your son or daughter is off to college, do a quick search to find out what college students would want. Some gifts will always be more expensive than others, but remember that your loved one will appreciate the thought more than you breaking your bank to buy the gift. Another tip when buying a gift on any budget is to look for online coupons or buy something when there are deals going on. If your friend’s birthday is in two months, but there is a great deal on dresses at her favorite store, why not buy the present early? That way you also don’t need to rush to find a gift the week before the big day. You can’t possibly put a price on DIY gifts. Whether you are on a budget or not, DIY gifts are without a doubt special. When you put your time and effort into making something special for your loved one, they are sure to appreciate it. There are a vast variety of YouTube tutorials and online articles about DIY crafts and items you can make. Spend a few hours searching online for that initial inspiration. You could also hit up your local craft store for inspiration. The good news is that your gift will not only be one of a kind, but it will be cost-effective. Everyone has gone through a rough patch at some point in their life. For some, this could simply be a stressful week at work, for others, it may last longer. With that being said, giving a gift is the perfect opportunity to brighten someone’s day or week. Why not give your best friend an unexpected gift to show you care? Even if there isn’t a special occasion or holiday is coming up, if someone has been talking about wanting something for a long time and it is in your budget, buy it! If your kid has been talking about these sneakers for months, surprise them with it. The ‘just because’ type of gifts are sometimes the best kind due to the fact that they are unexpected. An out of the ordinary or ‘gag’ gift is sure to get a laugh out of many people. If your significant other has made a point of telling you they don’t want anything for their birthday, or your niece already has almost everything she asks for, it’s time for a gag gift. A gag gift could be anything from an inside joke to merely something the gift receiver would find hilarious. It is not a useful gift; instead, it is trivial in nature, but funny nonetheless. The online world has a variety of these types of gifts; all you need to do is search for them. You don’t need to be rich to give someone a thoughtful gift. Start the gift buying process with setting aside a budget for it, and go from there. The next step is to tailor the gift to the person and the occasion. When there is a special event or holiday, you will want to purchase something that makes the individual incredibly happy. It could be something they will use or merely something that they’ve dropped hints for that they wanted for a long time. If the hints they’ve been dropping are to an out of the budget, it’s time to be creative with the gift. In that case, the recommendation is to potentially hold a party with the travel destination as the theme. There is always a way around going the most expensive route possible. You may even want to purchase a gift for your loved one just because, and once again, it could be the smallest gift that can still brighten someone’s week. Another example is buying someone a movie ticket to a show they’ve been dying to see. If neither of these two scenarios is what the gift giver is looking for, there are always funny gag gifts and DIY presents. Both of these could, once again, be just what the gift receiver needs. Be creative with your gift giving and always think about whom you are gifting it to.